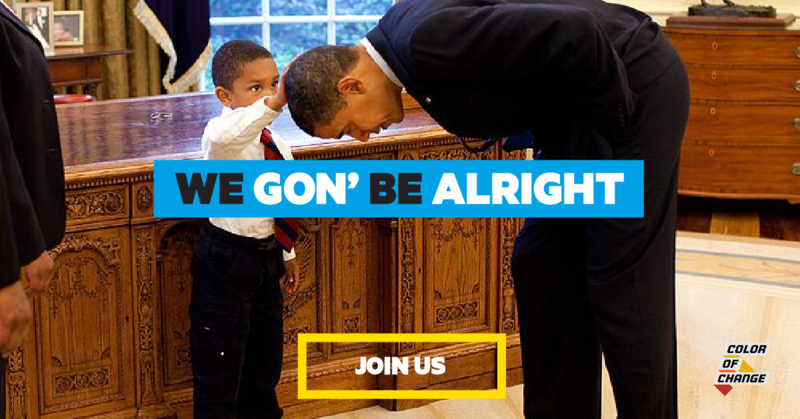 Join a racial justice movement that is WINNING for Black people and our allies. When you join Color Of Change, we'll send you online actions and in-person events you can join to stand up for racial justice. In a time when we're being attacked from all sides, we're not only resisting-- we're building the world we want to see.